Hey, Blends! Can you believe that in just three short weeks, we will all be hanging out together in Boulder for the fourth annual retreat?! We are extremely excited for this year’s event. It’s sure to be the best yet. We are taking a bit of a different approach with our breakfasts this year. Because we had such an overwhelming interest from sponsors, we decided to make the breakfast spots co-sponsored, so everyone could participate! That just means more delicious goodness for you guys! Today we are spotlighting our four amazing Sunday breakfast sponsors. They are all incredible and we are confident their meal will knock your socks off. Please take a moment today to learn more about these four great companies. 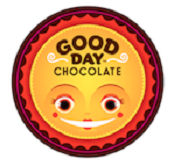 Our first spotlight is on GoodBelly. 1. What is the mission statement and goal behind your brand? 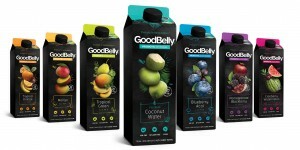 GoodBelly is a line of delicious probiotic drinks formulated for daily digestive health. * Made with the highly efficacious and well-studied probiotic strain, Lactobacillus plantarum 299v (LP299V®), GoodBelly helps establish intestinal balance with a wide array of products and flavors. 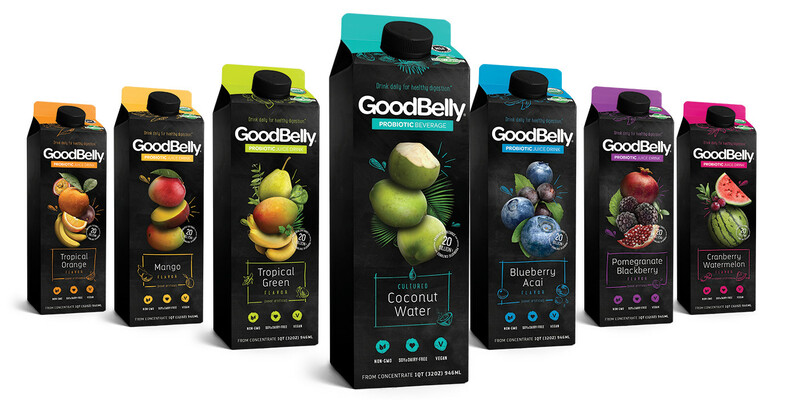 * GoodBelly drinks are always non-GMO, dairy-free, soy-free, vegan and kosher. GoodHealth starts with a GoodBelly and our mission is to help people live better through healthier digestion! 2. Which products are you excited to share with the attendees of Blend Retreat? Organic GoodBelly StraightShot – The most simple probiotic option, GoodBelly StraightShot offers a daily dose of live and active probiotic cultures in a delightful and gentle non-dairy oat base. GoodBelly StraightShot has no added sugar and only 30 calories per serving. Sold in packs of four 2.7 oz. shot servings. Organic GoodBelly Multi-Serving Cartons – The original probiotic juice drink with your daily dose of live and active probiotic cultures per 8 oz. serving. Sold in 32 oz. 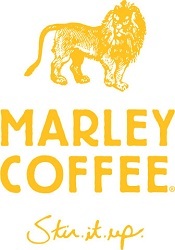 cartons and available in Blueberry Acai, Cranberry Watermelon, Mango, Tropical Green and Pomegranate Blackberry flavors. 3. How can we find out more about your brand? Please visit us a the following links to learn more! Next up is The Epic Seed. They make a very unique type of yogurt! 1. What is the mission statement and goal behind The Epic Seed? We wanted to create a yogurt brand that was unwaveringly delicious while also being super great for you. We wanted the nutritional profile to be perfect – so protein, fiber and fat were all kept in focus (and of course, the sugar levels needed to be in check). 2. Which Epic Seed products are you excited to share with the attendees of Blend Retreat? We’re super excited to have our yogurt featured for breakfast – it is the perfect all in one fitness yogurt (breakfast). We’re excited to share one of our newest flavors – COCONUT! 3. How can we find out more about The Epic Seed? Please interact with us through our Instagram @epicseed, or our Facebook page Facebook.com/theepicseed or anyone can email me directly – Jesse@theeepicseed.com. We are always in search for great brand ambassadors!!! Our next breakfast sponsor has been popular in the blogging community for years and years. Please welcome Barbara’s! Barbara’s was founded in 1971 by a 17 year-old young woman with a passion for creating great-tasting food from simple, wholesome ingredients. Barbara believed in a better world, staying close to nature, and keeping things simple: using wholesome ingredients that are great tasting and good for you. Today, Barbara’s provides a simple way to nurture a healthy and happy life, operating under the belief that life is delicious and every day is worth taking a bite out of. Committed to providing tasty cereals and snacks made from simple, wholesome, Non-GMO ingredients, Barbara’s product lines offer organic, gluten free and heart healthy options packed with whole grains. NEW! Better Granola – New to Barbara’s portfolio of cereals and snacks, this delicious, protein-packed granola features a unique proprietary recipe containing less fat and sugar and more protein than other leading granolas. Barbara’s Better Granola comes in two delicious flavors – Dark Chocolate Cranberry and Oats & Honey – and are Non-GMO Project Verified and packed with 28-30g of whole grains and more than 200mg of ALA omega 3’s in every 2/3 cup serving. Our final breakfast sponsor features a product you may not have heard of before. We know that they were new-to-us when they reached out. Please welcome Baobest Baobab! Baobest™ Baobab is the creator of nutrient-dense superfood products, including Baobab Fruit Powder™ and BaoBites™ Superfruit Snacks. Known as the “Queen of Superfruits,” baobab is an African wild-harvested superfruit naturally bursting with fiber, essential minerals, electrolytes, and more antioxidants than blueberries, goji berries, or pomegranates. With a light, subtly tangy flavor, the baobab fruit contains six times the vitamin C of oranges. All Baobest Baobab products are vegan, gluten free, non-GMO, sustainable, and are free of cholesterol, and allergens including dairy, eggs, nuts, wheat and soy. Perfect for anyone who wants a boost of extra nutrition, Baobest Baobab products are delicious and versatile – simply add the Fruit Powder to juice or smoothies, mix into yogurt, bake into nutrition bars, muffins or breads, and sprinkle BaoBites Superfruit Snacks onto cereal, oatmeal, trail mix, or enjoy alone for a sweet snack anytime! We are excited to share our brand new BaoBites: flavor packed, deliciously addictive bite-size fruit morsels made with only baobab fruit powder, real fruit concentrates and pectin. BaoBites are a fun-to-eat nutritional powerhouse and contain no fat, cholesterol or preservatives, and are perfect for adding some zing to snacking, baking, trail mixes, mixing into cookies and muffins, sprinkling on oatmeal or cereal, and more. BaoBites Superfruit Snacks have twice the antioxidants of dried blueberries, 3 grams of fiber, and are only 128 calories per 40 gram serving! Exotically delicious favors include Blood Orange, Peach Mango and Pomegranate. Thank you so much to our four wonderful Sunday breakfast sponsors for taking time to share this information today. We are EXTREMELY excited to eat your delicious breakfast! Can’t wait! Previous post: meet gnarly nutrition + GIVEAWAY! Next post: come hike with Detour Bar!